Luxury 6 Bedroom Muskoka Chalet/Cottage Private Beach w/ Crystal Clear Water! 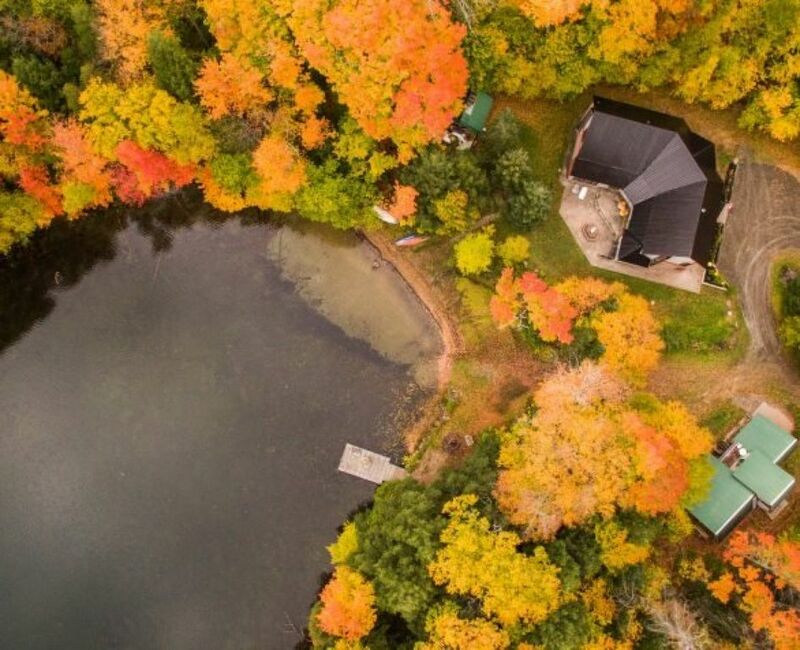 The Perfect Private Luxury Chalet/Cottage In Muskoka! Over 3800 Sqft Located In A Private Bay w/ A Private Sandy Beach! Crystal Clear Water w/ Large Shallow Area Great For Swimming! Large Stone Patio w/ New Gas Weber BBQ & Large Fire Pit w/ Lake Views! Night Sky is Full Of Stars! New 7 Person Outdoor Jacuzzi Tub w/ Built-In Speakers & Lighting & More! Cottage Style Interior Wood Finishing From Top To Bottom Six Large & Spacious Bedrooms (2 of the Bdrms Have Extra 2nd Floor Lofts) + One Sofa Bed 4 1/2 Bathrooms Main Floor Master w/ +6pc Ensuite w/ Steam Rain Shower & Double Sink 3 Ensuite Bathrooms In Total Theatre Room w/ 40'' Flatscreen & Bose Sound Bar & Playstation 3 w/ Game & Movie Library & F1 Racer Large Dining Room Large Family Room w/ 12ft Ceilings & Fireplace Gorgeous View Of The Lake From All Rooms! Our team booked Sandra’s cottage for our yearly winter retreat and could not have asked for a more comfortable, welcoming, enjoyable experience. We had a total of 15 guests attend (on and off) throughout our 5-night stay and each arrived with astonishment/bewilderment at how spacious and amenity-filled the property was - inside and out. With multiple levels throughout, and bedrooms on each floor, the property can easily accommodate large groups at varying levels of privacy, noise, etc. Even with our large group we ended up having a few bedrooms unused, and at times, entire apartments worth of space to single guests. As far as amenities go, everything was easily accessible and well-kept including: the beautiful hot-tub and rustic wooden sauna (both of which worked wonderfully to stay warm outdoors during the peak of winter weather), the four and half bathrooms well dispersed around the home, the grand living room with it’s lovely gas-powered fireplace that kept everyone toasty through the trip, each of the beds with more than enough linens and blankets, and every kitchen appliance/cookware item we could need. Surrounded by peaceful Muskoka forests and at the shore of a beautiful lake, to call this cottage a private sanctuary is an understatement. We even had a fellow come clear all the driveway and walkways of snow multiple nights, ensuring that the storm the night before left only positive impact. As you can probably tell, we were thoroughly impressed with every aspect of the cottage and were only perturbed by the unfortunate necessity of having to eventually end our trip and leave such a wonderful, relaxing experience. We definitely plan on coming back again next winter, and can only hope someone else hasn’t booked up our dates before then. Ten out of ten, definitely worth the price. A lovely and unique cottage located on a beautiful lake. This home is big, beautiful and quite fun to explore! Location is gorgeous. We were 14 people who stayed at this great, huge cottage during Thanksgiving weekend 2018. There are several bedrooms and enough bathrooms with showers where no one had to wait. Sandra and her husband were great and very accommodating. We would definitely stay here again.